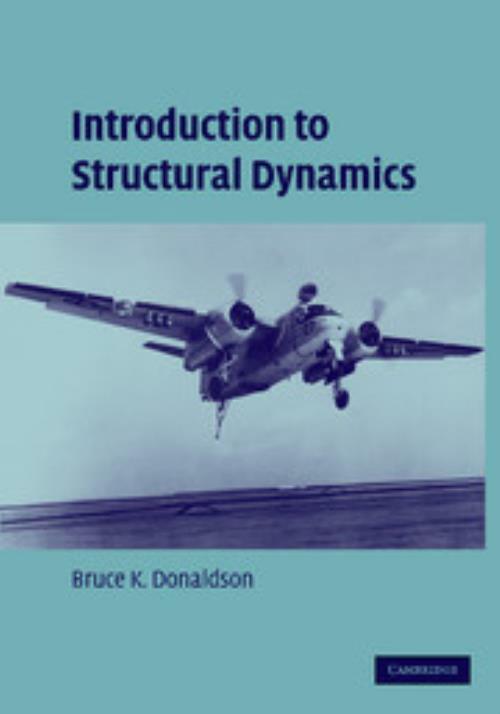 This textbook, first published in 2006, provides the student of aerospace, civil and mechanical engineering with all the fundamentals of linear structural dynamics analysis. It is designed for an advanced undergraduate or first-year graduate course. This textbook is a departure from the usual presentation in two important respects. First, descriptions of system dynamics are based on the simpler to use Lagrange equations. Second, no organizational distinctions are made between multi-degree of freedom systems and single-degree of freedom systems. The textbook is organized on the basis of first writing structural equation systems of motion, and then solving those equations mostly by means of a modal transformation. The text contains more material than is commonly taught in one semester so advanced topics are designated by an asterisk. The final two chapters can also be deferred for later studies. The text contains numerous examples and end-of-chapter exercises. 9. Numerical integration of the equations; Appendix I; Appendix II; Index. Bruce K. Donaldson University of Maryland, College Park.